this Saturday, April 24th in Key Biscayne. 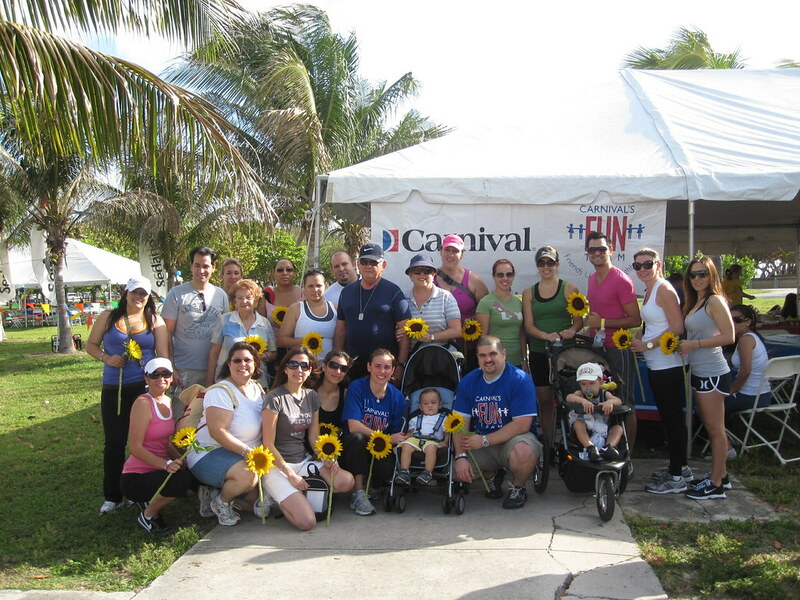 Jorge and his family walked in memory of his niece, Alessandra. They carried sunflowers in her honor. Jorge and his team raised $10,486! Good job! We hope to have as much support, if not more, next year. Congratulations Andrea! You are the winner of a Mommy + Me session. Here's a photo of the Carnival Team and those who walked on Saturday.